Monica Starkman (M.D. 1963, Residency 1972) firmly believes that everyone should have the opportunity to develop their talents, to hone their skills — to “become themselves.” It’s something she picked up directly from Abraham Maslow, the oft-cited psychologist who developed the hierarchy of needs. Starkman, an active associate professor emerita of psychiatry, was an undergraduate in his class at Brandeis University when she first encountered the concept of self-actualization. It was epiphanous; from that single lecture, Starkman gained a framework through which she could explore and grow, unconstrained by the status quo. At a time when men in medical schools outnumbered women nine-to-one, she was admitted, completed a fellowship in human genetics and a residency in psychiatry, and established herself as an NIH-funded scientist. She later founded and directed the U-M Hospital’s first psychiatry consultation service. One such case involved a patient diagnosed with pseudocyesis, or “false pregnancy.” Soon after, she encountered a second patient with the same diagnosis. Both women experienced somatic symptoms of pregnancy: swollen bellies, missing menses — even phantom “fetal movements.” Starkman and her team began studying the women’s hormone levels, and were struck by this interaction between mind and body. Starkman had always wanted to write fiction, and that tiny kernel catapulted her forward. Despite never having taken a creative writing course, she began to pen her first novel, interweaving science and prose. She wrote whenever she could; she left a notepad on her nightstand, devoted hours to it every weekend, sketched plots and characters during sabbatical. It was a calling. “It took decades to find the time,” she says, “and it took decades to learn the art.” But, spurred on by the process of discovery — of “becoming herself” through writing — she persisted. In 2016, after years of effort, The End of Miracles was published by She Writes Press to reviewer and reader acclaim. It centers on a woman who grapples with infertility, depression, and pseudocyesis. For Starkman, the novel is a magnum opus of her career, and an attempt to bring authenticity to portrayals of psychiatry and the psychological toll of infertility. 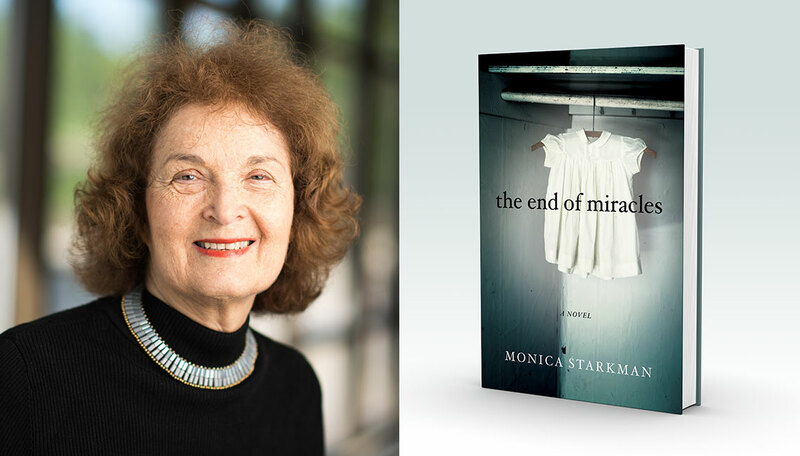 The End of Miracles was a finalist for literary fiction in the 2016 American Book Fest’s International Book Awards, and is currently being optioned for film. Starkman, also a member of the U-M Depression Center, has found that her novel has become a beacon for those who have experienced similar traumas. It’s a difficult topic to broach, she knows, but she’s humbled by those who have reached out to her, who have shared their own stories.